In January, I’ll be teaching a course in writing memoir. Memoir can be a hard form to define, but to my mind, memoir is all about place – a writer’s relationship with the place they grew up in, and their struggle to find their place in the world. These writers use place to explore further issues of identity and belonging. I recently read two memoirs which gave two very different definitions of Britishness. 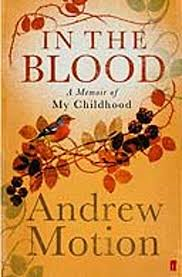 Britain’s former Poet Laureate Andrew Motion wrote a memoir of his childhood, In the Blood, which gave a more traditional portrait of Britishness. Yasmin Hai’s The Making of Mr Hai’s Daughter portrayed a newer version of Britishness. Britishness is more of a background detail in Andrew Motion’s memoir. His book is largely concerned with his relationship with his mother and family, and the making of him as a poet. It is bookended by a horrific riding accident his mother suffered. But Motion’s role as Poet Laureate shows that he is very much part of the British establishment. Many staples of traditional British life appear in Motion’s narrative: days spent hunting and shooting, tales of boarding school life. Interestingly, Motion struggled with these traditions, but he remained respectful of his heritage, and found ways to work within it. The search for British identity is at the centre of Yasmin Hai’s memoir. She makes it plain that she is using her memoir to explore what Britishness means if you are the child of a Muslim immigrant from Pakistan. While Motion’s Britain is sepia tinted, Hai’s is edgier and more current. She movingly describes her struggle to define herself. Raised by a secular liberal father, she finds herself torn between two worlds, Cool Britannia, which is starting to emerge as she comes of age in the 1990s, and the Asian Muslim community that she grew up in. The search for belonging is to the fore in her memoir. What memoirs have you read that evoke a strong sense of place? Have you read memoirs that deal with issues of identity and belonging? Creating attention-grabbing web content is quite a challenge these days. People’s attention spans are getting shorter and shorter, and it can be hard to read for long periods of time on a screen, particularly on a smartphone. Your content may be beautifully crafted, witty and clever, but unless it’s laid out in a way that’s easy to absorb, your message will be lost. Here are some ways to break up your content so it’s easy to read. Bullet Points: Using bullet points encourages you to condense your content so it’s crisp and clear. They break your content down into biteable chunks, so it’s easier for your eye to travel across the page and take in the words. Headings: If you find bullet points too clinical and you prefer to write content that flows, you can still break it up with headings that summarise what you’re trying to say. Using headings means that if people are in a rush, they can use the headings to absorb the core message of your text. Captions: If you’re in a business where pictures speak louder than words, such as fashion, design or food, you can complement your luscious images with captions which tell people more about your products and services. Using captions means you’re not burning your readers with too much text, but you’re still giving them a chance to find out more about what you can do for them. What do you think makes web content easier to read? What have you done to make your own content more readable? These days, punctuation is something of an endangered species. 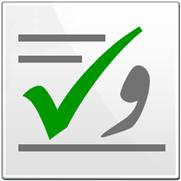 The rise of electronic communications means that some punctuation marks are increasingly redundant. These days, many of us confine ourselves to the comma, the full stop, the quotation mark, the exclamation mark and the question mark. This may appear to make life simple when you’re writing. There are times, however, when the comma just doesn’t cut it. Sometimes you want to convey a specific message with your sentence, and colons, semi colons and dashes can help you do that. Unfortunately, because they’re increasingly rare, some people don’t know how to use them, or even what they are. Yet they play a specific role within a sentence and give your sentence structure. Punctuation is a confusing business. Here’s a guide to how to use the semi colon, colon and dash. A semicolon joins two short sentences together. While the parts could stand alone, they work better together. For example, you could write Truth ennobles man. Learning adorns him. However, the effect would be a bit staccato and it’s hard to see how they relate to each other. If you join them together with a semicolon (truth ennobles man; learning adorns him), you create a stronger sentence that flows more easily. Colons are used to introduce a list, such as For their picnic, they bought: cheese, bread, ham, tomatoes, bread and drinks. A colon is also used to introduce an important point you’re about to make, such as My advice is: always do the unexpected. In this example, the colon replaces the joining word as follows, and it can also be used to replace words like for instance and because, so it streamlines your sentences. When we’re talking, a thought will often pop up mid sentence. We interrupt ourselves with that thought and then return to our main thought. If you want to convey that sort of interruption in writing, you use a dash. The party lasted – we knew it would – far longer than planned. To be specific, the type of dash you use is an em dash ( – ) not to be confused with an en-dash (–), which is used for ranges of numbers (0-9). In what other ways do you use these punctuation marks? What other punctuation marks confuse you?